There are three exciting new US vendors coming to the UK to talk about this week. But first let’s do some domestic news. York based Cellhire is looking for resellers for its Mi-fi mobile wi-fi gadgets. They’re basically Huawei gizmos with a Vodafone SIM card and a lead to plug into your laptop, so you can get a 4G connection anywhere for £20 a month. I’m often wrong about these things, but I’m convinced there’s a massive market opportunity here for selling to the hotel and catering trade. One of the weaseliest phrases in IT (after ‘you could win an iPad” and ‘terms and conditions apply’) is the offer of ‘Free Wi-fi’ that most catering establishments now offer. There’s a service gap that needs to be plugged. No pub, café or hotel ever lives up to the promise of their free wifi, which usually comes at a cost anyway. There’s always a massive penalty, normally in lost time as you have to find out why it’s not working, hunt for the staff who actually know the password and then make dozens of attempts to type in the ludicrous 96 character long password. If you’re really unlucky, you will pay a much higher price because some cyber criminal lurking in the pub will get access to your laptop and clean out your PayPal, BitCoin, Visa and bank accounts. It happens all the time, says Rik Ferguson, security expert with Trend Micro. That’s why, for security reasons alone, I reckon most punters would happily give the barman £20 for a month’s worth of portable personal wifi, because they’ll save twice that much money by avoiding an hour’s worth of faffing around. So, with a bit of persuasion, the counter staff at hotels, cafés and pubs up and down the land could become a sales channel for CellHire. Or indeed a sales channel for a CellHire reseller. Why not? The counter staff need the money, it’s an uncomplicated sale and the service is quicker, all encompassing and much safer than using the crap wifi I’ve come to expect from a working life on the move. Talking of companies seeking channels to market in the UK, here’s three companies with a combined budget of $120 million, much of which is earmarked for channel expansion and marketing in the UK. Cloud infrastructure hardware inventor Cumulus Networks has got $35 million to help it sell its alternative switches to data centres. It claims to have tweaked Linux in order to make cheap, non branded switches outperform Cisco at a fraction of the price. Resellers could probably make up some of the cost difference by awarding themselves a huge profit margin on the deal. Cumulus has the endorsement of Facebook’s data centre engineers, which used the technology in its Open Compute Project, a collaboration which saw Facebook’s engineers custom-build their own proprietary switches. Finally, a Faceook ‘Like’ that probably counts for something. Alternatively, you might want to inquire into development operations start up Sendachi, which has been launched with $30 million of initial funding. They’ll doubtless have a sales, marketing and PR budget in there somewhere. 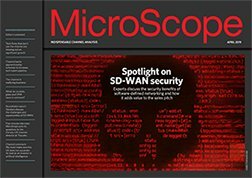 The biggest push is likely to come from California’s software defined networking vendor Big Switch Networks, which is coming to Europe with $48.5 million and wants you (yes YOU!) to help it explain the concept of bare metal networking fabrics to your usual audiences. This is a company that’s growing by 300% a year, so they probably won’t have the time to scrutinize your invoices too closely. Get in! It sounds like you’re going to be busy on the road. If I were you, I’d get myself a portable wifi system.